Despite the Nintendo Switch’s portability and meteoric popularity, Nintendo isn’t quite ready to let its traditional handheld console market go the way of the Western. Since the Switch’s release, the 3DS has received Metroid: Samus Returns, WarioWare Gold, Luigi’s Mansion, Pokémon Ultra Sun and Ultra Moon, Mario & Luigi: Superstar Saga + Bowser’s Minions, and Hey! Pikmin. Still, it was a bit surprising when Nintendo announced a new addition to the Nintendo 3DS “family” of consoles — the New Nintendo 2DS XL, just months after the Switch launched. Yet, with Nintendo’s continued support of 3DS platforms and the already stellar back catalogue of available games, it isn’t too late to jump in on the fun by picking up a dedicated handheld system. With OG Nintendo 3DS models long phased out, and the smaller, New Nintendo 3DS ceasing production, you’re down to three options: New Nintendo 2DS XL, New Nintendo 3DS XL, and the Nintendo 2DS. 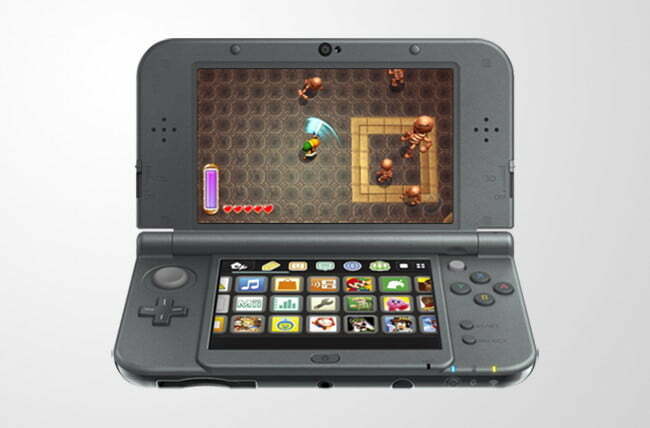 Unless you are buying the system for a young child, we can’t recommend the Nintendo 2DS. Along with decreased power, its non-closing design makes it susceptible to scratches, and its small screen size can wear on your eyes. So, that leaves you with two, very similar-looking options. So the question is: Which one should you buy? The New Nintendo 2DS XL or the New Nintendo 3DS XL? Let’s break it down. At first glance, the two handhelds look almost identical, but a myriad of small differences between the two make them feel different to not just hold, but play. Right off the bat, you can feel the weight difference. The New Nintendo 2DS XL is a couple ounces lighter than the New Nintendo 3DS XL, making it slightly less of a burden to carry around in your pocket. Along with the decreased weight, it’s also slightly smaller in height. As you can readily see, there’s less space around both screens on the New Nintendo 2DS XL, easily detectable when examining the Home button’s move to the left side of the bottom screen. The economical design of the New Nintendo 2DS XL makes it feel a bit more like a toy than the New Nintendo 3DS XL, but the build quality is great nonetheless. As far as differences that may affect play quality, the New Nintendo 2DS XL’s shoulder buttons are just a bit curved, which makes them easier to press without discomfort. The stylus is positioned directly next to the headphone jack, and has had its size decreased a tad from the New Nintendo 3DS XL. While the touch screen is underutilized in 3DS games, if you have large hands, the New Nintendo 2DS’ stylus may pose some issues. Both systems use stereo sound, but their locations differ. On the New Nintendo 3DS XL, the speakers are on both sides of the top screen, whereas on the New Nintendo 2DS XL, they are on the bottom of the handheld. Unfortunately, sound may be muffled due to this change, but as always, the 3DS is best heard with headphones. While the game card is located on the bottom left in both models, the New Nintendo 2DS XL thankfully adds a cover, which mitigates the chance of accidentally ejecting a cartridge while playing. Additionally, the microSD card slot is found under the cover in the New Nintendo 2DS XL. In order to switch memory cards in the New Nintendo 3DS XL, you need to unscrew the back panel, so the change is certainly a welcome one. As for the screens themselves, brightness has been kicked up a notch on the New Nintendo 2DS XL. This may cause some issues when playing in natural light, but besides that, image quality has increased vibrancy. 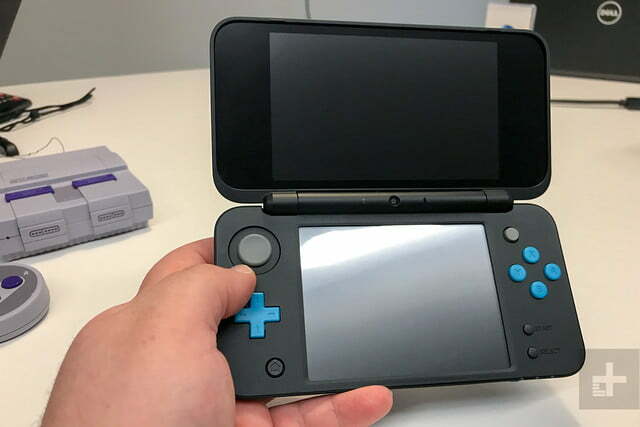 The speaker location and stylus size may be an issue for some, but overall the changes made to the New Nintendo 2DS XL make it a better designed handheld than the New Nintendo 3DS XL. As clued in by its name, the New Nintendo 2DS XL lacks the initial differentiating factor of the 3DS family of systems: 3D. When the 3DS launched in 2011, one of its most intriguing selling points was its stereoscopic (sans glasses) 3D. However, as the years have passed, the interest in 3D has died down. If you ask a longtime 3DS owner how often they turn on 3D when playing their 3DS, chances are they will tell you that they rarely use the feature. While some games in the 3DS library were designed for 3D use — like the early system seller Super Mario 3D Land — it’s not something that you are likely to use a lot. Turning on the 3D to see how a game looks is one thing, but actually playing the game for any sizable duration of time with the slider on is another. The 3D tends to strain your eyes after just a bit of time. While the New Nintendo 3DS XL technically has a leg up on the 2DS XL here, the decrease in price may be worth the sacrifice. Under the hood, the handhelds mirror one another. Both are enhanced by better processors than early 3DS models, meaning that every great game in the 3DS library will play best on either option. The extensive library of 3DS hits, including the handful of New Nintendo 3DS XL exclusives (most notably, Xenoblade Chronicles 3D, The Binding of Isaac: Rebirth), can be played on the New Nintendo 2DS XL without a hitch. 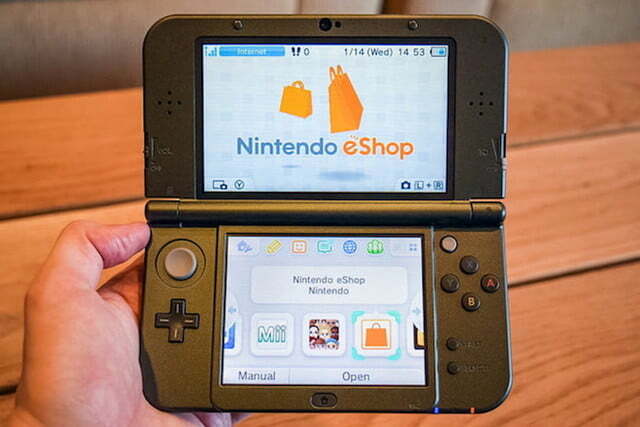 The New Nintendo 3DS XL retails for $200. Colors have varied since launch, but right now you are most likely to find black, galaxy blue, and maybe red. The New Nintendo 2DS XL retails for $150. Right now, three different Mario Kart 7 bundles exist (black and turquoise, orange and white, and purple and silver). The price difference is actually even greater, though, when you factor in that the New Nintendo 2DS XL comes with an AC adapter whereas you have to buy a charger separately (seriously) when picking up the New Nintendo 3DS XL. Chargers can be found for 10 bucks or less, but it still lengthens the price difference a bit. If you’re in the market for a dedicated Nintendo handheld, you can’t go wrong with either the New Nintendo 2DS XL or the New Nintendo 3DS XL. Still, at $50 cheaper and with a slew of mostly appreciated design changes, the New Nintendo 2DS XL wins this battle. 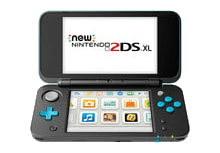 Updated on 1/18/19 by Steven Petite: Updated intro to reflect 2DS availability and pricing section to reflect available models. Published on Wed, 13 Feb 2019 22:00:28 GMT, © All rights reserved by the publisher.